People nowadays are so busy that they hardly get any time to sit and talk to their friends. This busy routine has made a wide gap between friends. One should know the value of friends in life as their happiness is related to us. So to abolish this gap, Winni offer you a combo to add warmth and love in your friendship bond. 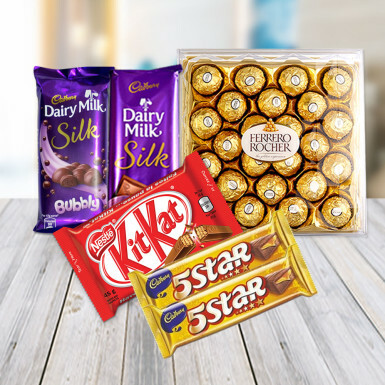 Make them feel refresh with these exciting flavors of chocolates. Just place an order from Winni and see the magic in your friendship.